Another incredible annual event at the Lake of the Ozarks is happening May 6-8, 2016 - The 28th Annual Magic Dragon Street Meet Nationals. This huge car show on the historic Bagnell Dam Strip seems to get bigger each year, drawing more and more visitors to the lake area. All makes, models, and years of cars, trucks, and motorcycles will be represented. Thousands of people will be walking up and down the Bagnell Dam Strip, viewing the most amazing vehicles from all over the country. The road is closed for this event, and show cars will be parked along the entire route. 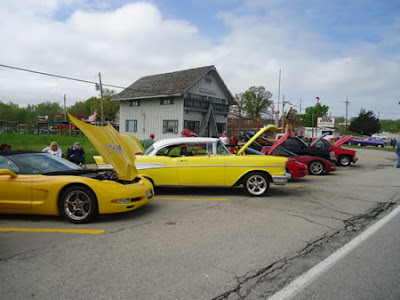 Classic car fans, collectors, and even those of you that have never been to a car show will all thoroughly enjoy your time at this awesome car show. You can take a new car home! One of the most popular activities at our Lake of the Ozarks scenic attraction is the ability to pan for gemstones in our sluice. Bridal Cave has offered visitors the chance to dump pre-packaged bags of sand (plus a lot more) into our sluice for the past ten years. The beautiful treasures that are found make excellent trip souvenirs. A sluice is a water channel that is controlled at the head by a gate. When this gate is lifted, water flows down from the water tower through the sluice. The clear, pristine water is perfect for filling a pan with the contents of our sluice bags and discovering the surprises that are waiting inside. 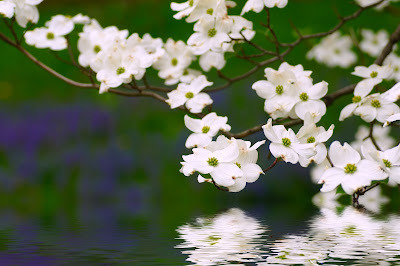 Just up the road from Bridal Cave and Thunder Mountain Park, Camdenton is getting ready to host their 66th Annual Dogwood Festival. This event is a highly anticipated, fun weekend for the entire family. Some exciting things to look forward to are a parade, crafts, music, entertainment, food, and more. 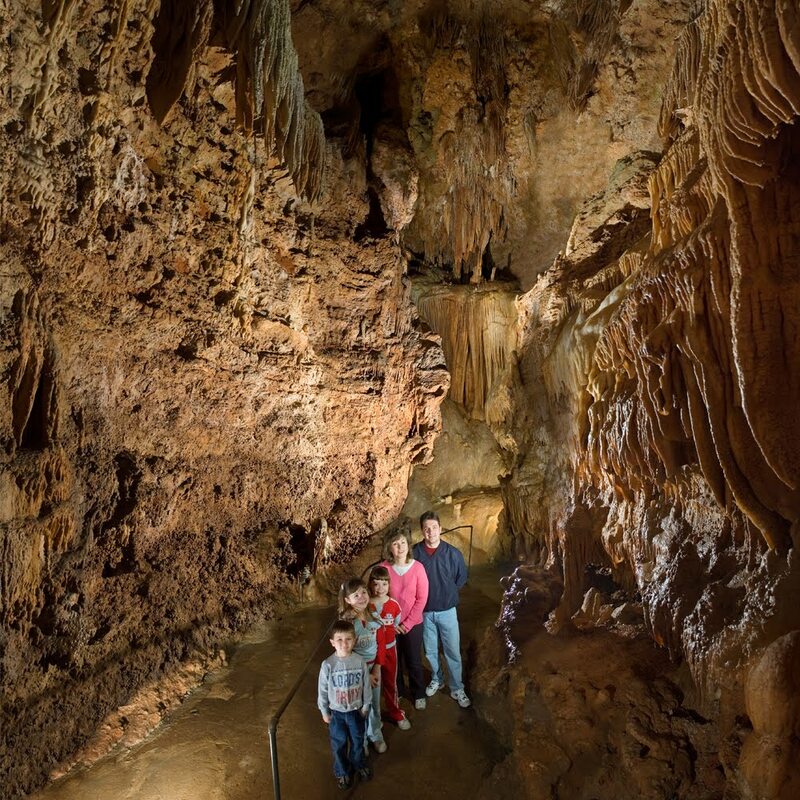 The People's Choice for Best Cave is Bridal Cave! 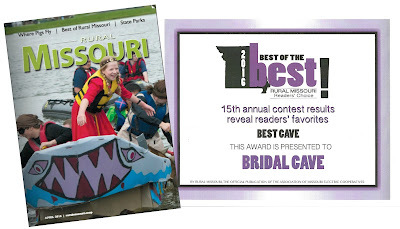 We are often referred to as the best family attraction at the Lake of the Ozarks, and now according to Rural Missouri Magazine's Readers' Choice Awards, Bridal Cave can now claim the title of the Best Cave in Missouri, and they even sent us a certificate to prove it. Rural Missouri is based in Jefferson City, and the magazine has a circulation of over 550,000, making it the largest paid-circulation monthly publication in the state. Over a 2-month period, the magazine asked their abundance of readers to tell them all about the best eateries, destinations, and activities in Missouri. Out of the 17 categories that were included in this year's poll, Lake of the Ozarks was named in four of them. Each category lists a 1st-place winner, a runner-up, and an editor's choice award. If you have not yet had the opportunity to tour Bridal Cave, then you may not be aware that a visit could make your wishes come true. Located inside our scenic mid-Missouri underground cave is a wishing well. Tens of thousands of visitors pass by our wishing well every year, and most of them can't resist throwing in a coin or two. After that many people make a wish, the amount of coins at the bottom of the well really starts to add up. Each spring we pump the well dry to remove all of the coins and use them to make one deserving student's wish for a better education come true. All of the money collected goes toward a scholarship fund at Camdenton RIII High School. Over the past few years we have noticed a new trend. People have started to throw paper money into the wishing well. 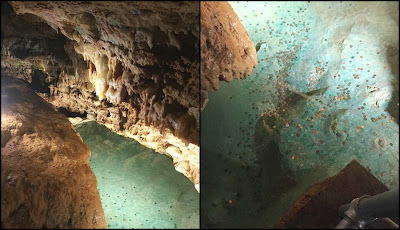 Hundreds of bills are now being collected along with the massive amount of coins, filling numerous 5-gallon buckets that are carried out of Bridal Cave by hand.